Where to Buy Millennium Ultra 2 Herbicide, Millennium Ultra 2 Specialty Herbicide - 2.5 Gal - $249.75 for Sale with Fast Free Shipping! 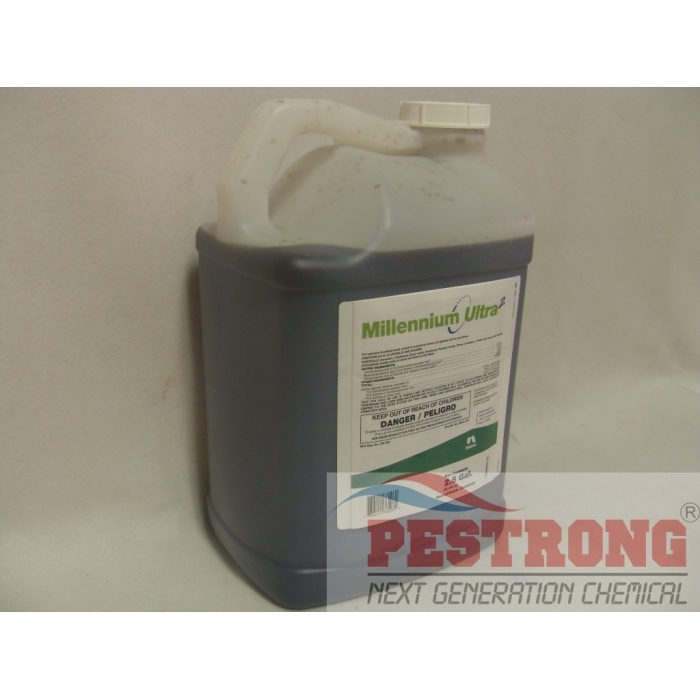 Millennium Ultra 2 Specialty Herbicide - 2.5 Gal is a premium post-emergence selective herbicide specially formulated to control clover and other broadleaf weeds in a single application. Millennium Ultra 2’s composition of 2,4-D, clopyralid and dicamba provides one of the most effective liquid formulations for broad-spectrum weed control available in the market today. Millennium Ultra 2 Specialty Herbicide - 2.5 Gal is ideal for high-use areas including golf courses, parks, commercial grounds and other public facilities. A friend of mine that works at a park, golf course told me about this product, it kills weeds like crazy. I've been using hardware store products for years and never achieved the results I've seen so far this year. We've had a lot of rain and it still seems to be working.